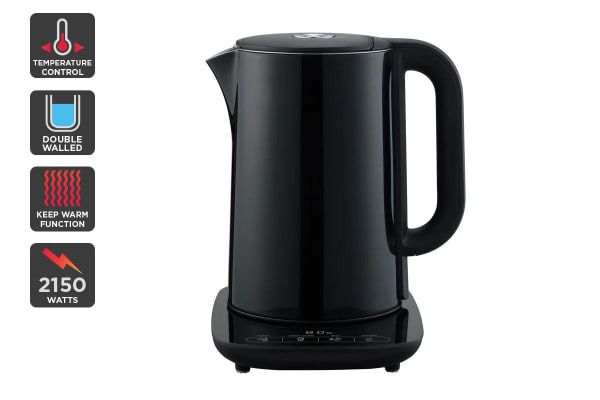 This sleek black smart kettle is designed to retain heat for longer with an innovative double wall insulated design and pour the perfect temperature water thanks to the digital control base. Cool to touch exterior – doesn’t exceed 40°! 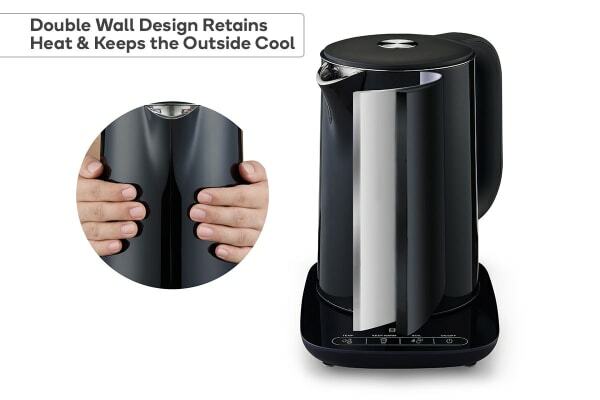 In addition to a stylish black exterior and ultra durable, stainless steel insulation, the premium Kogan Double Walled Smart Kettle has five adjustable temperature settings and a Keep Warm function that keeps the water hot for up to 2 hours! 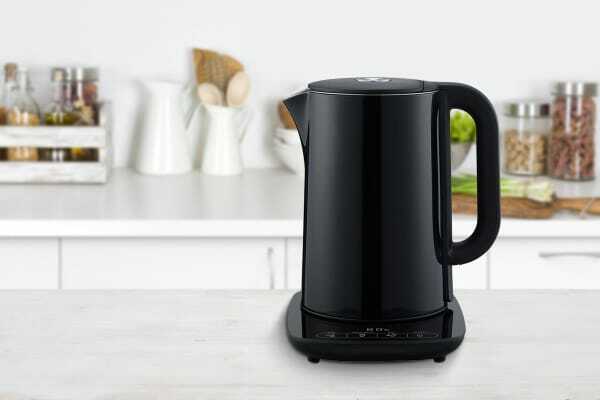 At 55°s it can take just 10 seconds to cause serious third-degree burns^, thankfully this smart kettle features a double walled design that helps to retain heat without the external temperature exceeding 40°s, making it perfect for households with small children. The Kogan Double Walled Smart Kettle features an automatic shut down mode if it isn’t used within three minutes, helping to conserve household energy use, while the boil-dry protection and safety thermostat kick in when the kettle is out of water. The perfect temperature every time to bring out the optimal taste and flavour. 2150W power for quicker boiling times. Keep water warm to set temperature for up to 2 hours.